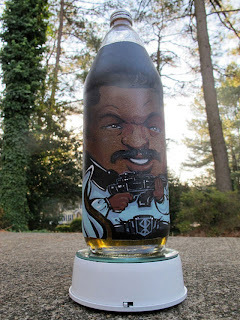 L is for Lando Calrissian, part of the A-Z Blogging Challenge. 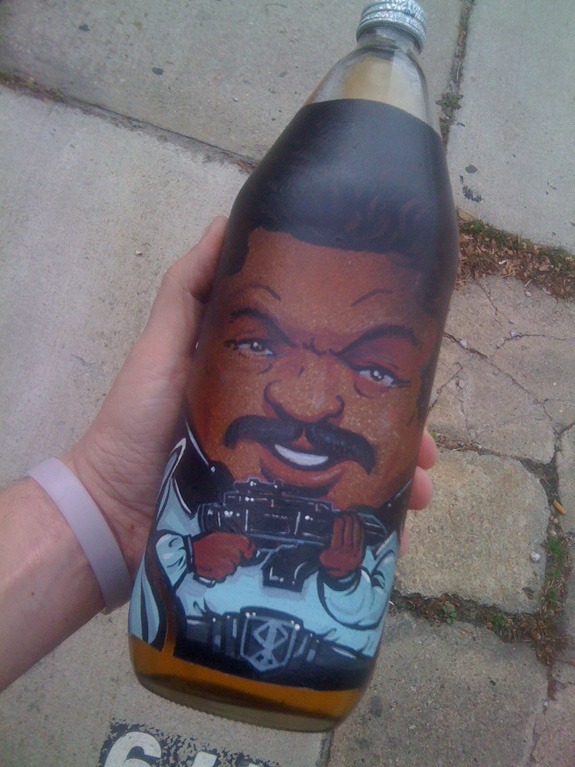 Billy Dee Williams is most known for two things: playing Lando Calrissian, and promoting the malt liquor, Colt 45. Now an artist named Sean Kernick from North Carolina has combined the two by hand-painting Lando's visage onto a bottle of Colt 45. This drink looks absolutely beautiful. It truly belongs here with us among the clouds. Check out the full images below. What do you think of the Lando Colt 45 bottle? I love it. 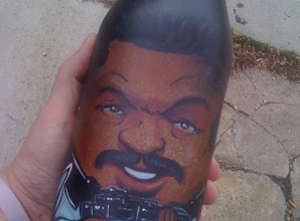 Yep, I remember Lando. I LOVED all the original Star Wars movies. That is some cool art. This is priceless. Thanks for visiting/commenting/following me at RomanticFridayWriters. I'm going to try to follow you here. Of course it's someone from the Carolinas! Look forward to the rest of your challenge run…can’t believe we’ve had 14 days already.Hope you’re enjoying the challenge so far! Are they known for that?